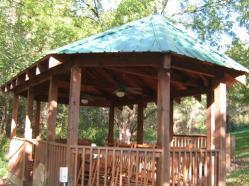 Gazebos, Picnic Sheds, Tool & Garden Sheds, Playhouses, Kiosks, Porte Cochere, Etc. 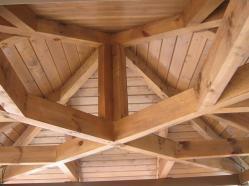 Whether its an elongated gazebo with a double-tier roof or a garden shed simply to hold hand tools, we can help. We have supplied and/or built $500 playhouses as well as supplied and/or built $100k - $300k bar, pool, picnic pavilions and more. Look through some of our designs below, take a glance at our gallery, and see what we can help you with. We can also help with design, sizes of structures, sizes of timbers/products needed for project, and even labor estimates. Custom designs are no problem, just give us a call. Since 1986, a fully licensed and insured contractor and business owner. 865-428-1932 office: ask for Greg or Joel. Pergolas, arbors, gazebos, something unique to add flavor and function to the yard or planting areas around your home and property. Our easy to assemble pergolas will get you there. 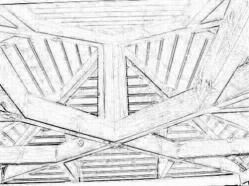 Heavy duty, made with timbers, galvanized lags, log and timber screws, everything you need for this one day project. Take a look at the options to add and create your own personal look. USA Materials, USA Made - Picked up here or shipped (shipping extra) to your site. 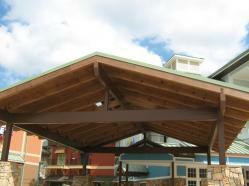 This pergola is the same as the standard with some heavy duty changes. 6x6 posts and 4x4 angles not only bulks up the strength but also the look. No offense to beautiful dainty landscaping, but for bigger spaces, trees, ponds, rivers, etc. you might want to consider this one. Our easy to assemble pergolas will get you there. Heavy duty, made with timbers, galvanized lags, log and timber screws, everything you need for this one day project. Take a look at the options to add and create your own personal look. USA Materials, USA Made - Picked up here or shipped (shipping extra) to your site. Pergolas have something unique to add flavor and function to the yard or planting areas around your home and property. Ours are cut to fit and ready for you. Our easy to assemble pergolas will get you there. Heavy duty, made with timbers, galvanized lags, log and timber screws, everything you need for this one day project. Take a look at the options to add and create your own personal look. Step by step instructions. USA Materials, USA Made - Picked up here or shipped (shipping extra) to your site. This "Heavy" version shows up well in any setting, whether next to a lake, pool, or just a center piece for the yard. Ours are cut to fit and ready for you. Our easy to assemble pergolas will get you there. Heavy duty, made with timbers, galvanized lags, log and timber screws, everything you need for this one day project. Take a look at the options to add and create your own personal look. Step by step instructions. USA Materials, USA Made - Picked up here or shipped (shipping extra) to your site. 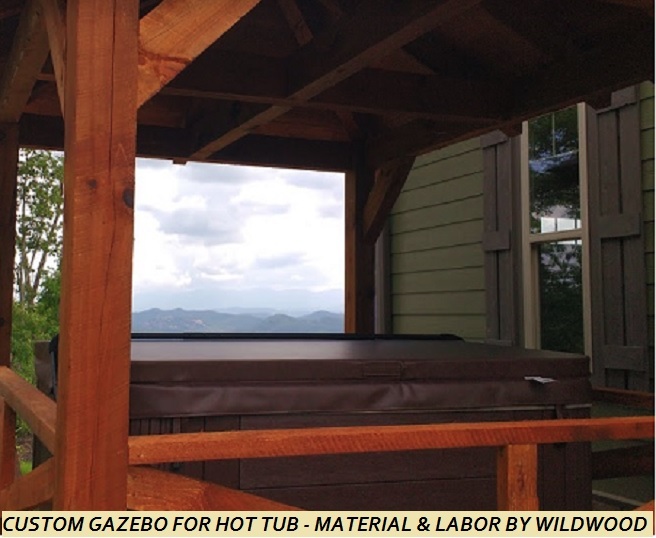 Easy step by step instructions for a no-hassle assembly and install. These pergolas have something unique to add flavor and function to your yard or planting areas around your home and property. At Wildwood we cut to fit so everything's ready for you. Our easy to assemble pergolas are great for do-it-yourself types and contractors. Heavy duty, made with timbers, galvanized lags, log and timber screws, everything you need for this one day project. Take a look at the options to add and create your own personal look. Step by step instructions. USA Materials, USA Made - Picked up here or shipped (shipping extra) to your site. These "Heavy" pergolas can add so much to your property (maybe a swing, certainly some unique plants clinging, draping, or climbing. 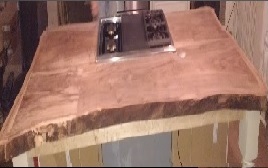 How about a custom table and chairs). At Wildwood we cut to fit so everything's ready for you. Our easy to assemble pergolas are great for do-it-yourself types and contractors. Heavy duty, made with timbers, galvanized lags, log and timber screws, everything you need for this one day project. Take a look at the options to add and create your own personal look. Step by step instructions. USA Materials, USA Made - Picked up here or shipped (shipping extra) to your site.